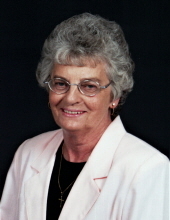 Ollie Belle Baird, age 81 of Williamsburg, Ky., passed away Friday March 22, 2019 at her home. She was born January 18, 1938 in Whitley County, Ky. to the late John Speed and Bertha Douglas Walker. Along with her parents she was preceded in death by 2 brothers David Walker and Paul Walker. She is survived by her husband Mart Baird of Williamsburg, Ky., 2 daughters; Donna June Harp (Gary) of Corbin, Ky. and Brenda Moye (Derell) of Corbin, Ky., 3 grandchildren; Danielle Barrett (James), Chris Moye (Lyndsey) and Ryan Moye, 1 great grandson; Ethan Moye, 1 sister; Effie Maye Ball (Roy) of Whitley City, Kentucky, 2 sisters-in-law; Jean Walker of Corbin, Ky., Bonnie Walker of Williamsburg, Ky. and lots of nieces, nephews, and a host of other relatives and friends to mourn her passing. Funeral service will be 1:00 pm Monday March 25, 2019 at Ellison Funeral Home Chapel with Rev. Doyle Lester officiating. Interment will be in the Youngs Creek Cemetery. Visitation will be 6:00 pm Sunday March 24, 2019 at Ellison Funeral Home. To send flowers or a remembrance gift to the family of Ollie Belle Baird, please visit our Tribute Store. "Email Address" would like to share the life celebration of Ollie Belle Baird. Click on the "link" to go to share a favorite memory or leave a condolence message for the family.